I could launch into some vitriol about speeding and such but that's too much effort, seeing as I did that yesterday. On a positive note though, the cars look pretty awesome. I wonder if they'll be getting more? 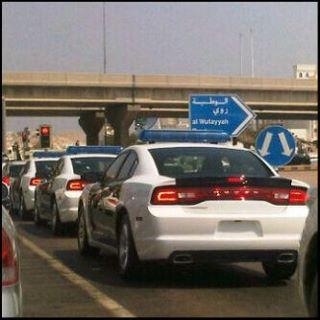 Its not a big deal, these are the new Dodge Chargers, not Ferraris or even Challengers. No need to blow it out of proportions (in case someone is going to). As if new cars will make a difference. I just hope that these new cars will enable these cops to respond promptly on any accident that may happen.